A sophisticated lifestyle with a focus on ease and convenience can be yours when you come home to Camden Westwood located in Morrisville, NC - neighboring the town of Cary, NC. Our thoughtfully designed one, two, and three bedroom apartment homes are packed with time-saving features like an included expanded cable package with wireless internet, front door trash pick-up and washer and dryers. Select apartment homes include upgrades like new countertops and stainless steel appliances! You’ll find it easy to stick close to home even when it's time to get out. 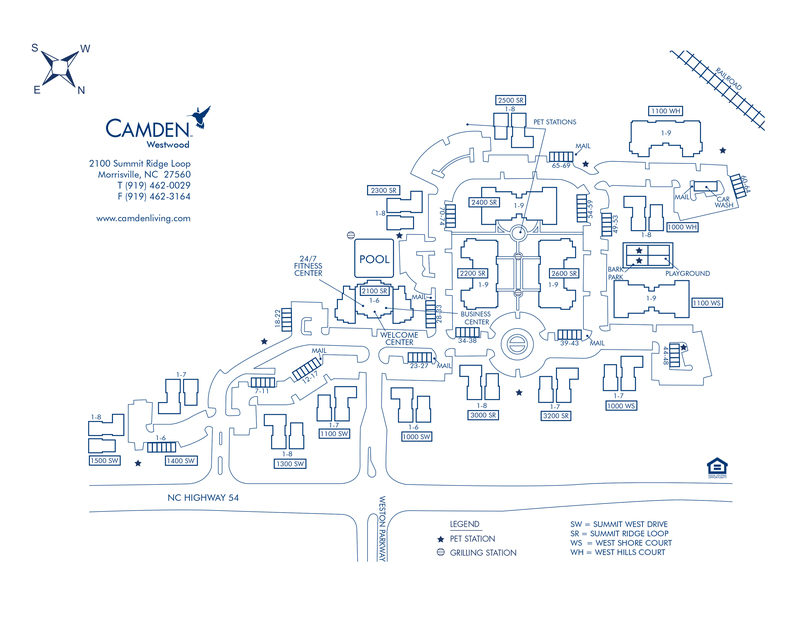 Camden Westwood has an expansive WiFi cafe, top notch fitness studio and a stunning pool and entertainment lounge. Our community is perfectly complimented by our incredible location in the heart of Morrisville putting RDU Airport, Research Triangle Park, I-40 and the new Park West Village shopping destination just minutes away! At Camden, your pets are family too! We welcome cats and dogs, up to two pets per apartment home, with no maximum weight limit per pet. Call us with any pet-related questions! Garages are ready for you to rent! Detached garages are available for $75 per month.